easy to prepare, and super-easy to clean up! Baked rice happens to be one of our favourite 1-dish meals. However, I try not to turn it into a regular item in our dinner menu. I believe this dish is quite fattening...with the cream and cheese that goes into it! We had this seafood baked rice the other night. Loaded with fresh prawns, lala (clams), sotong (squids) and fish fillet. I couldn't get salmon, so I had to settle for batang (Spanish Mackerel). Wash and prepare prawns, clams, squid and fish slices. Add in the cooked rice. Add salt and pepper to taste. Stir and let it cook for 1 to 2 mins or until the sauce is almost fully absorbed by the rice. Place rice into a heatproof baking dish. Sprinkle with grated cheese. Bake in a pre-heated oven at 220 degC, till the cheese turns golden brown. Sprinkle with some dried parsley. Serve immediately. Note: ** refers to the rice cup that comes with the rice cooker. Is it possible to substitute heavy cream with Greek yogurt instead? WOW!!! Looking at this make me really hungry :P It's a very delicious meal. I like it! i like it - looks soooo yummy (taste good, i am sure), plus quick and easy to assemble. thanks SO MUCH for sharing! Your baked rice looks delicious-ly packed with seafood & cheese. I am in zero mood to cook today & would be so great if I can have a plate of this rice served to me :D. Btw, do you use the normal Jasmine rice or other types? Hi Anonymous, no it is not advisable to use Greek yogurt. However, instead of heavy cream you can use pouring cream which has less fat. 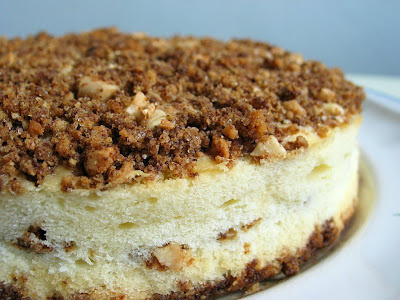 Hi Skinnymum, hope you will like this recipe! Coincidentally I made baked rice today too. Fish baked rice again as dd1 doesn't like fish and I have to incorporate it into our 1 dish meals. Oh wow wow! I'm not a rice person. But your baked rice really really makes me very very hungry!! Yummy yummy!! MH, I like to cook porridge for lunch too! but my kids don't really fancy porridge, they prefer noodles. They like pork floss on their porridge too, and sometimes I will also use our heng hwa seaweed as toppings. was at home the last 3 days and had to cook 2 meals a day plus looking after 3 kids...no joke, i must say, so really admire you, can have time to bake/cook, maintain a blog, coach your kids etc...how do you manage to find time to do all these!? i do enjoy cooking for the family but think will bengsan if need to do it every day... anyway, purpose of this message is to say a big thank you to you for sharing the tips to make onigiri. i tried it out, it was really simple and my kids love the pork floss and mayo! this baked rice looks yummy, one question, can i use those nestle canned cream? Hi octopusmum, yes you can use nestle's canned cream. Hi Ellena, for this I used batang, you can try with salmon. i dont cook! only bake. thks for your prompt reply! another thing, i would like to try out the maki sushi sandwich since i have all the ingredients. would like to clarify if the rice vinegar is the normal chinese rice vinegar or must it be those japanese sushi rice vinegar? This looks like a great dish! Do you think I can substitute chicken for some of the seafood as I'm allergic to shellfish? This looks absolutely perfect! I don't eat cheese, but the cheesaholic mister had always wanted to know how to cook baked rice. I'm definitely passing this recipe to him! Hi octopusmum, please use Japanese Sushi rice vinegar, it is different from the chinese rice vinegar. Do note that Japanese Rice Vinegar does not have sugar added, whereas Japanese Sushi Rice Vinegar has sugar in it. So do take note which one you get. If you get the Japanese Rice Vinegar, you will need to add sugar. Hi CY, for a chicken baked rice, you can refer to my other recipe "Chicken & Mushroom Baked Rice" under the category "Simple Dishes'. Hope this helps. Your baked rice looks so delicious! I find the simplicity of a one dish meal so very appealing too. Say, HHB, did you get to work on your blueberry chiffon cake? :-).... I tried to do a peach chiffon yesterday - turned out funny, cake looks good when I unmolded it but there were big air pockets inside. Am suspecting that peaches may contain certain enzymes that destabilise the egg white, will try the recipe again but will do something to kill the enzyme. Your blog is simply delicious ... a pleasure for the senses, with permission I it add rapidly to my list of favorites. Oh, how I love one pot meals! This looks mouth watering!!!! Oh, you are lucky to have easy-going eaters. Course you probably helped them become that way with your delicious cooking! This dish look absolutely delicious. Hi kokken69, I have tried the blueberry chiffon, it didnt work out too well...there are also some air pockets too :( I hope I am able to write a post on it soon. I see, interesting. I do have a blueberry chiffon recipe. Have never tried it yet. I will try to experiment with it. If it works, will pass it to you. Hi Anonymous, I am not sure about replacing cream with milk...it may not go well...it probably also depends on the type of milk you are using. I have tried using milk to replace cream when making cream sauce for pasta, the taste was not as good. It surely looks good and yeah not messy at all. I was just wondering, would it be ok to use creamy white sauce (like the Dolmio's or Ragu) instead of cream, do you think? I'd like to attempt this recipe and don't always have cream on hand (I'm a lazy one, I know). Hi Fai, unless you like the taste of those creamy white sauce, otherwise I would suggest that you stick to cream. I am not sure whether you can get those Nestle cream that comes in a can? You can use that instead, it contains less fat too. It doesnt need refrigeration so I always keep a few in my cupboard to stand-by. i like baked one dish item too! Hmmm... what is the name of the canned cream, I'm wondering? Table cream? Pouring cream? Or is it like condensed milk? Hi Fai, it's from the Nestle brand. Ok, I'm going to try it with what we call 'double cream' in the UK. =) I only have prawns and the mixed veggies though, and no other sea food, so I hope it'll still be nice! Hi...It seems quite interested..However, does it necessary to put in the heavy cream and what is the purpose? And can we make it with microwave? It is really enjoyable to read your blog. I have some question here. Can we use cheddar instead of grated mozzarella cheese ? and can we make it with microwave? Hi Anonymous, the heavy cream is added to give it the dish a rich and creamy taste. If your microwave comes with a baking function, then you can use it to make this dish. Hi Angerlic, thanks for your commnts. Mozzarella cheese is milder in taste and is softer, and melts easily in the oven, and has a stretchy texture. Cheddar cheese is sharper in flavour and will not melt as easily. Unless your microwave comes with the baking function, you will need an oven to make this dish. Hope this helps. Hi, you can get this heavy cream, brand name 'Bulla' thickened cream from cold storage. Hi. A quite interesting dish. Can we use whipping cream instead of heavy cream? Hi, yes, you can use dairy whipping cream. The dish looks wonderful, but the constant popping up windows all over this page is annoying enough for me to write off a revisit. I hope HHB will not blame me for adding this comment. If you allow your mouse to stay away from her post (like placing the mouse pointer arrow on the scroll bar.. the windows should not pop up. I don't have problem with windows popping all over, so I didn't know what was the root cause. Hi, I am sorry I am not sure about using canned tomato soup. Hi, I'm thinking of doing fish bake rice tonight but can I use those pasta sauce instead heavy cream? And since it will bake for 20 mins do i need to pan fried the fish first? Thanks in advance. Hi, u can use pasta sauce. It is best to pan fry the fish to ensure it is fully cooked unless u cut it into thin slices and probably need to layer the slices on top on the rice.